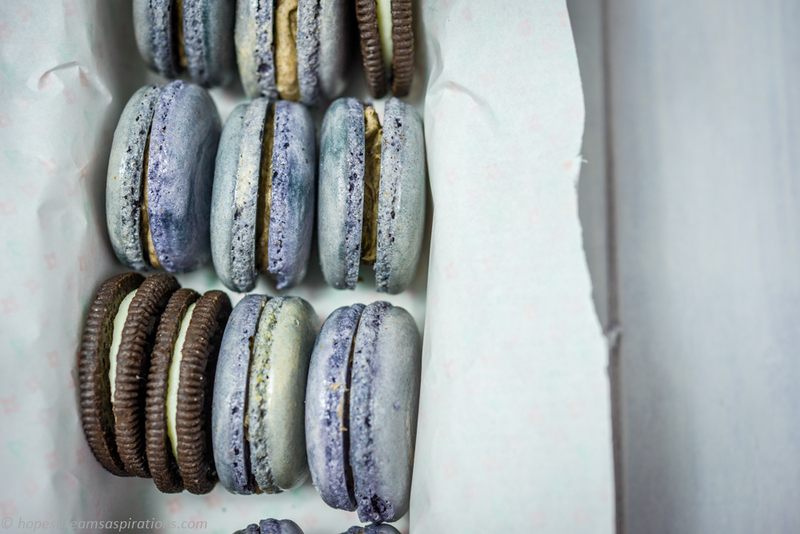 I used to make Oreo macarons with crushed Oreos in the Mac shells. The process is a bit tedious and result not as consistent. 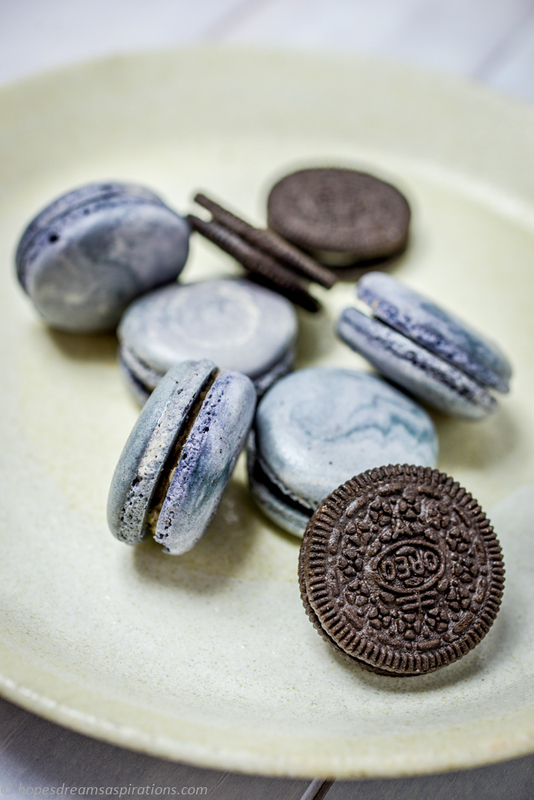 Here is a simplier version, by making a simple spleckled shell with an oreo chocolate ganache filling. Still very yum! Follow my basic recipe to make the shells. Heat cream and pour over white chocolate that has been broken up into small pieces in a bowl. Wait for a minute before stiring the chocolate ganache. Leave in the fridge for 10 minutes for it to set. Mix in Oreo cookie crumbs (about 4 cookies, blitzed into crumbs beforehand). Spread or pipe a teaspoon of your chocolate ganache on half of your shells and top them with the remaining half of your shells. 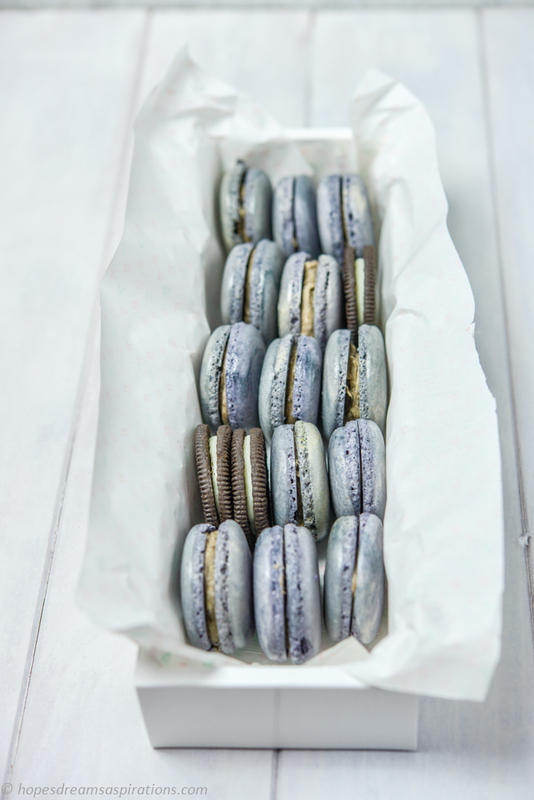 The filled macarons need to be kept in the fridge for 24 hours for the filling to soften the shells and also for the flavour to fully develop.